This year’s Rose Bowl features two of the biggest names in college football today. Between the clout that comes with Florida State’s 29-game winning streak and the way the Ducks can put points on the board, it is a fitting match up for the biggest stage outside the National Championship. While Oregon fans feel confident the Ducks can keep their momentum going, FSU has a fire lit and a statement to make. So, what must Oregon do in order to put an end to Florida State’s winning ways? 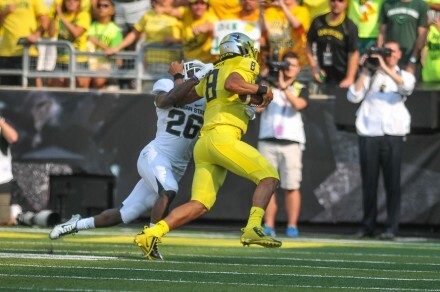 Dale Newton of The Duck Stops Here claims the running game will be the key. The Ducks have managed just over 237 rushing yards per game compared to Florida State’s 134, and should Royce Freeman continue to produce, it will take pressure off Marcus Mariota allowing the dual threat to wreak havoc. 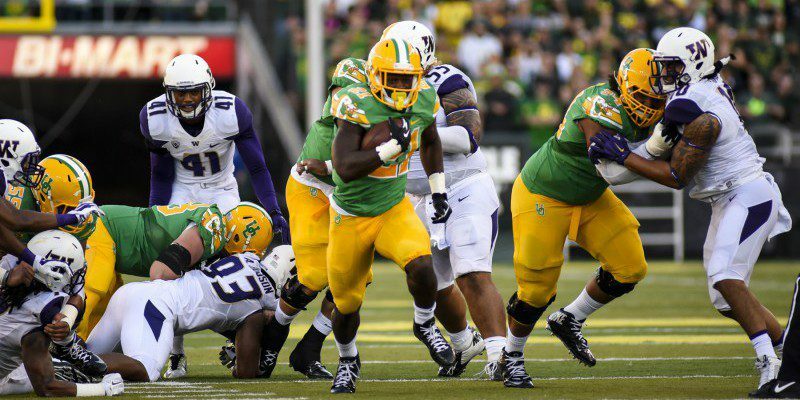 Freeman averages 99.92 rushing yards per game, eclipsing the 100-yard mark in six of Oregon’s last eight games. On paper, Freeman shouldn’t have a problem against an FSU defense that allowed more than 160 rushing yards per game. The Seminoles will bring a physical defense that consists of defenders such as Mario Edwards, Eddie Goldman and Derrick Mitchell, all of whom are over 6’3, 300 lbs. However, Washington was touted as a physical defensive unit and the 6’1, 229 lb freshman ran all over the Huskies with 169 yards and four touchdowns. Marcus Mariota presents a threat that FSU hasn’t seen. If Freeman can help the Ducks move the chains early, it will open up the passing game for the most decorated Duck this season. Mariota will look to extend his streak of games with a touchdown pass to 40 on New Year’s Day. Though FSU has the edge on Oregon as far as passing yards allowed (218 per game) it shouldn’t be a problem for Mariota, who is averaging 291 yards a game. The Seminoles bring a strong defense and determination to win but they have not faced an attack similar to Freeman and Mariota.